Ongame is a network that does not accept US players, but has been in operation for many years and was one of the very first mac-friendly sites. Hollywood Poker features several bonuses varying from fairly large to immense. Like most large bonuses, their biggest offerings really aren’t worth a player’s time. Their smaller bonuses, a 200% up to $200 bonus and a 300% bonus up to $300 stand as their best, and are also the best bonuses on the OnGame network. Both also come with Hollywood Poker schwag. The 200 dollar bonus has a very reasonable clearing rate of 6 points per bonus dollar, while the 300 dollar bonus clears at rate of 7 points per dollar, a more standard rate on this network, but considering the size of the bonus it is quite reasonable. The decision between these bonuses comes down to if a player believes it is possible for them to clear the number of points required in a month’s time. The three larger bonuses offered by Hollywood Poker are not worth a player’s time when compared to these two smaller bonuses. To read more about these bonuses or to take advantage of them, visit Hollywood Poker. Red Kings features several large bonuses that are actually fairly high quality, unlike most large bonuses. Red Kings features a 100% up to $250 bonus with the bonus code hearts250, a 100% up to $500 bonus with deposit code diamonds500 and a kings1000 bonus that is 100% up to $1000. The $250 and $500 dollar bonuses are your best options, with the 250 dollar bonus requiring only 7 points per dollar, the same amount as Pokerroom’s smaller 100 dollar bonus. The 500 dollar bonus is nearly as good requiring 8 points per dollar, a good deal for a bonus twice as large. The 1,000 dollar bonus has a clearing cost of 12x, which simply is too much to be worth the effort unless you really love playing the OnGame network. To read more about these bonuses or to take advantage of them, visit Red Kings. CanBet’s bonus stands as one of the smaller bonuses on the OnGame network, but do not confuse it with Pokerroom’s bonus as one that is worth your time. CanBet’s 14 points per bonus dollar clearing requirements stand as some of the highest on the internet. When compared to most bonuses on the net, Canbet’s simply does not stack up, and even against the worst bonuses on OnGame it is simply not worth doing when its size and clearing costs are put together. 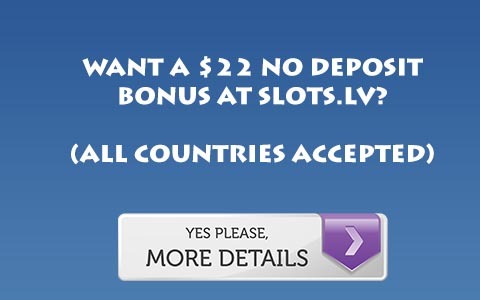 To read more about this bonus or to take advantage of it, visit Can Bet.